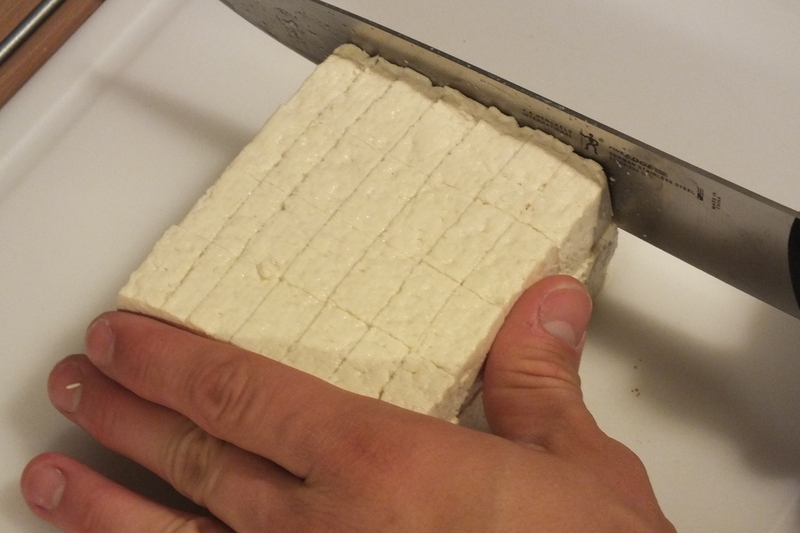 We’ve had a lot of success with tofu every time we’ve cooked it. Thankfully, we haven’t had any awful of the experiences that some people talk about. Last night though, we hit tofu gold. 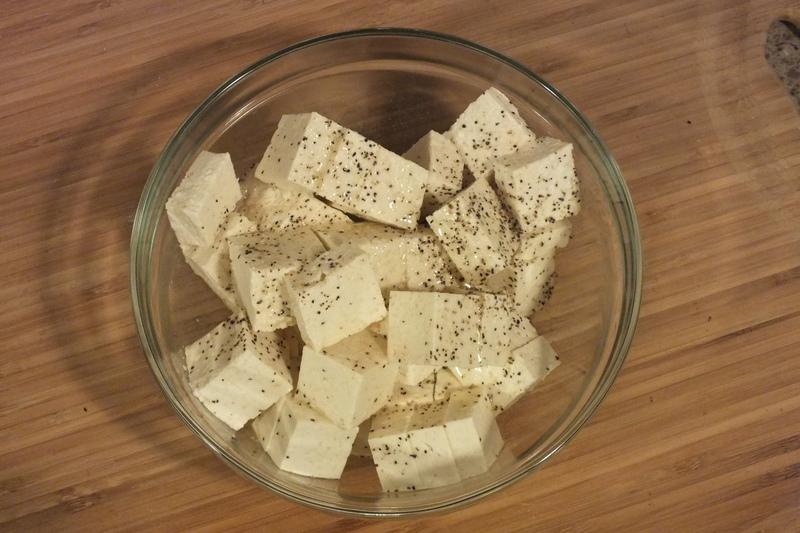 As with most things, simpler is better when it comes to tofu. Clark cut the block into 1 inch squares, about 1/2 inch in thickness. 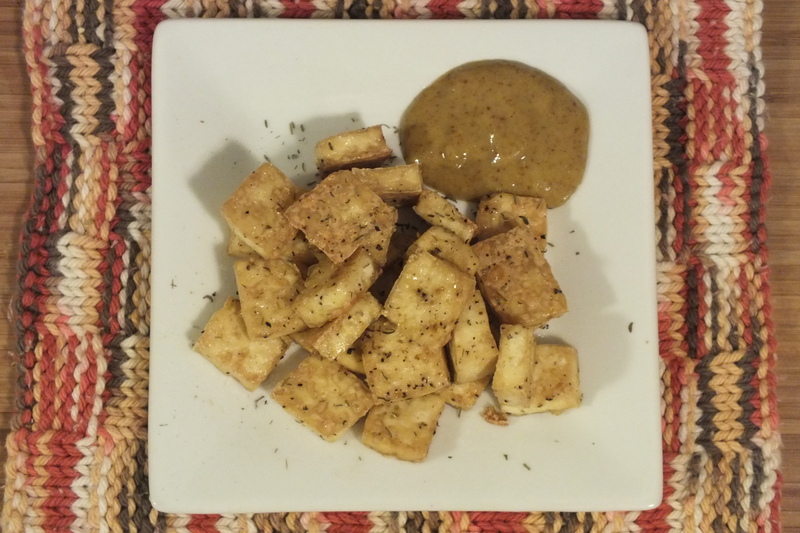 We tossed the tofu with olive oil and seasoned it with sea salt and pepper, then whipped up a honey mustard dip for the little nuggets. [They were also good dipped in plain old ketchup!] Place the squares on a lightly greased baking sheet. Bake at 450 degrees for 15 minutes, then flip the squares and bake 15 more minutes. Squares should be lightly browned and somewhat crispy. Mix the ingredients in a small bowl until smooth. Add more honey or brown sugar if it’s not honey-y enough for your liking. 1 inch squares, 1/2 inch thick. Toss gently to coat with oil, salt, and pepper. Sprinkle with a dash of thyme and there you have it!